The First-Year Seminar (FYS) courses offered by Loyola are considered the gateway courses to Loyola’s Common Curriculum, introducing students to academic inquiry and teaching them to think and learn as college students. Two College of Business faculty members, Frankie Weinberg, Ph.D., and Nicholas Capaldi, Ph.D., each conduct First-Year Seminars, thoughtfully weaving business concepts along with the goals of the FYS program. Frankie Weinberg, Ph.D., in his seminar, aptly titled Dishing it Up, serves to introduce students to college-level thinking and learning in an experiential manner, while supporting Loyola’s Jesuit tradition of “thinking critically” and “acting justly.” His class centers on the concept and practices of Corporate Social Responsibility (CSR) of various New Orleans-area organizations as they strive to meet the needs of community. With New Orleans known for such a rich culture that often focuses on food and eating as a way of life in the Big Easy, Weinberg utilizes the city’s food service industry as the backdrop of study for his First-Year Seminar. “The food service industry has a huge influence in New Orleans, and throughout history, food has always been strongly associated with communities and culture,” Weinberg points out. The organizations included: 1.) The New Orleans Food Co-op, owned by its 1,000 members who provided the start-up capital, was by far the most different structure students studied. 2.) 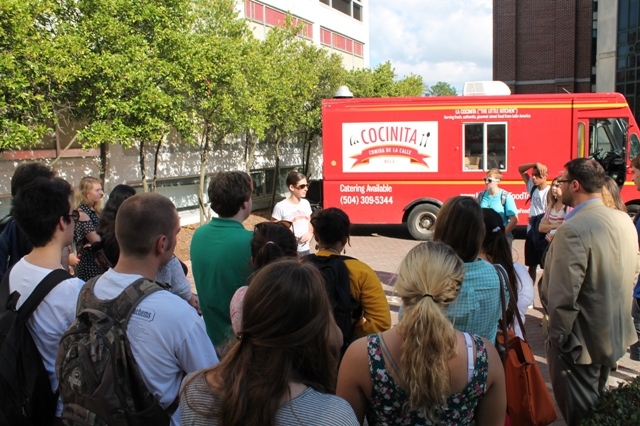 La Cocinita, a food truck business, exemplified a partnership structure. Co-owner Rachel Billow also shared her experiences of working with local government to update the laws governing the food truck industry in order to better grow the industry and better serve the local community. 3.) The Hollygrove Market and Farm, a collaborative structure that includes an urban farm, a produce market, and community growing space in the heart of New Orleans. 4.) Students looked at Whole Foods Market and their desire and ability to balance social goals with a history of tremendous growth and profitability—a large conglomerate doing good. At each site visit, students learned about the organizations’ structure and community engagement. Students worked together in small teams to develop questions to ask of the organization’s members during the site visit, adding to the experiential nature of the course. In addition to various assignments students completed during the semester, each was required to write a research paper in which they identify a community need and develop a means by which the New Orleans food service industry could meet that need, again, requiring them to further exercise their critical thinking skills. Through course evaluations, students have expressed they gained great insight from the on-site visits and appreciated getting so much-hands on experience in business their first semester, while at the same time, gaining exposure to the many social issues the New Orleans community faces. 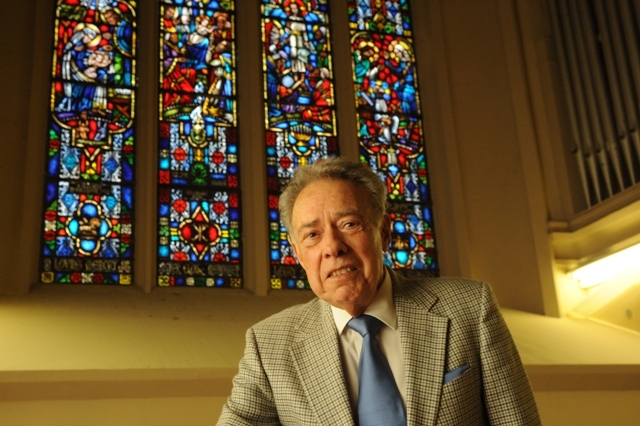 Nicholas Capaldi, Ph.D., Legendre-Soulé Distinguished Chair in Business Ethics, professor of management, and director of the Center for Spiritual Capital, offers a course titled Spiritual Capital. Capaldi designs his course to introduce students to: (a) the concept of spiritual capital; (b) specifically the content of Judeo-Christian spiritual capital; (c) the role of such spiritual capital in American history and culture, most especially its influence on politics and economics; and (d) the tension between liberty and equality in that capital. “Religion has been a defining feature in organizations and institutions. Most college students don’t realize that. I use this class as an opportunity to introduce the topic to Loyola students. But it’s not just that. I teach the course as a seminar, introducing the idea of the ethics of intellectual conversation. I believe there is a special kind of learning that takes place when one is involved in continuous conversation on a topic,” notes Capaldi. In his class, students must learn how to civilly agree and disagree as they participate in the discussion. Students taking Capaldi’s First-Year Seminar can expect to understand the big picture of spiritual capital that can serve to guide them through all of their remaining college courses. They will be better able to grasp the two major narratives of American history, identify the tension between those narratives, and recognize the ongoing expressions of that tension upon the completion of the course. 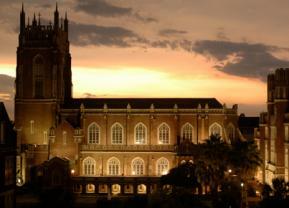 The college’s FYS offerings allow students from across disciplines to participate in courses that provide for greater understanding of how business, as a discipline, incorporates Jesuit ideals and values. View the complete spring 2013 issue of Loyola Executive.